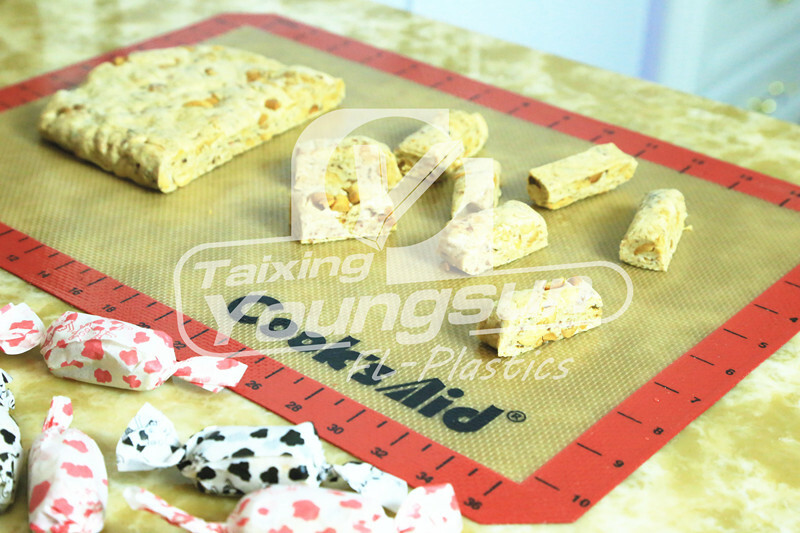 Silicone Baking Mats, the Must-Have tools for All Bakers! Why we call this Mat as Must-Have tool? 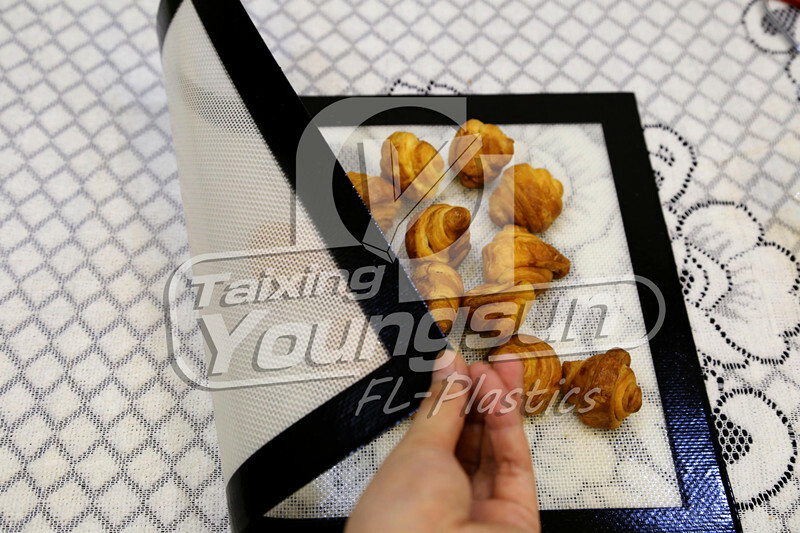 By using this mat, no greasing and parchment paper would need to be used now, and you would save money, time and reduce the pollution in our environment. And this Non-stick Mat would keep your food always Even and Delicious. Meanwhile, it's suitable for any kinds of food, especially for some sticky food, like caramel, taffy, dough and any items you would like to bake. What's more, it fits any ovens, microwaves, freezers you have. How did this mat achieve these effect? This liner is made of high-quality fiberglass and food-standard Silicone, and our product is totally food safe, is FDA, LFGB, NSF and Kosher certificated. Which makes this mat has 100% Non-stick surface, and has strong lifetime for at least one year. What could I bake with this Non-stick Liner? 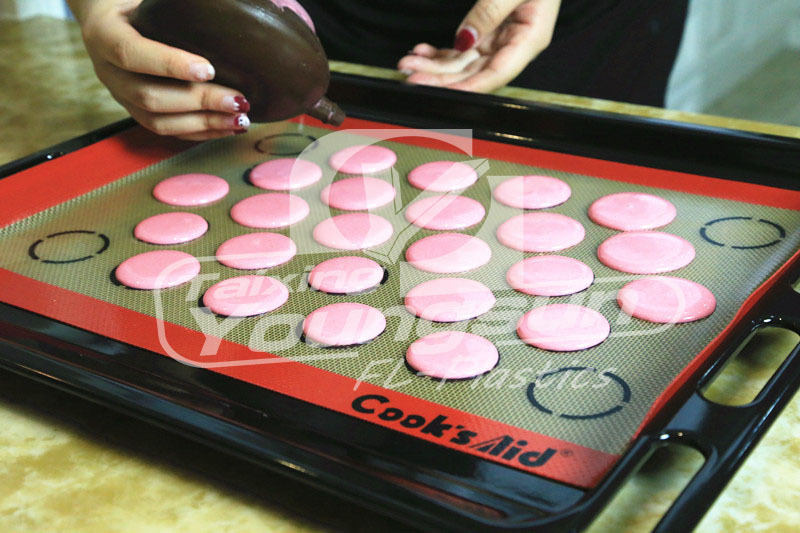 This Mat is a Must-have tool for Macarons Baking. With Several outlined circles, the piping would be much more even and easy. This Liner would replace bamboo to make Sushi at home, just place the food on the mat, fill in the rice and fish, than roll this mat making perfect sushi every time! 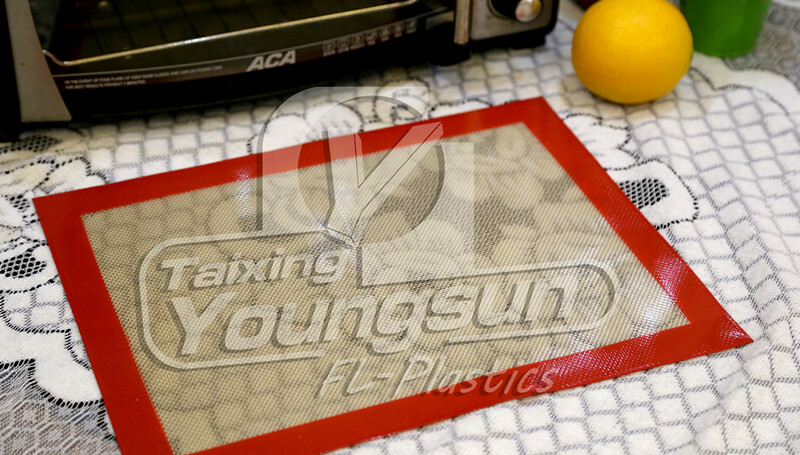 Prepare your material on this mat, and cook it in oven under 500 F, no sticky mess would be left after baking! 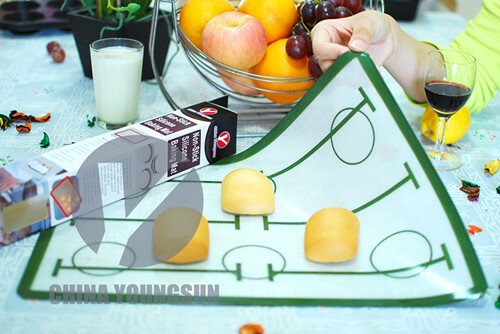 Our Silicone Oven Mat is suitable to any kinds of food you would like to bake! And the baking would be much more funny and easy by using our mat! What could we offer to you? Any Sizes you need, like 7-7/8'' * 10-13/16'', US Half Size, US Full Size and so on. With your Logo-printing, or any printing artwork! We could also offer Oven Liner or PTFE Baking Liner, and your selling would be better if you sell them together with your mat! 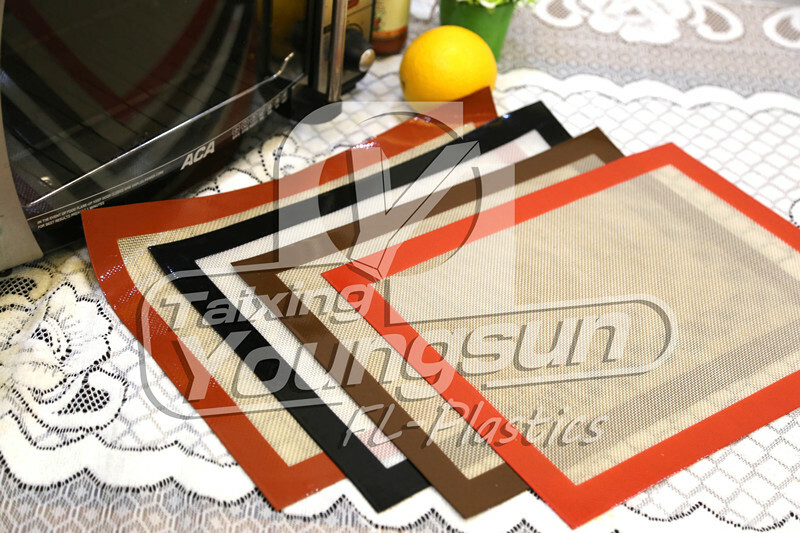 Looking for ideal Silicone Baking Mats Manufacturer & supplier ? We have a wide selection at great prices to help you get creative. All the Silicone Rolling Mat are quality guaranteed. We are China Origin Factory of Silicone Oven Mat. If you have any question, please feel free to contact us.